Happy Halloween from Hampton Art! 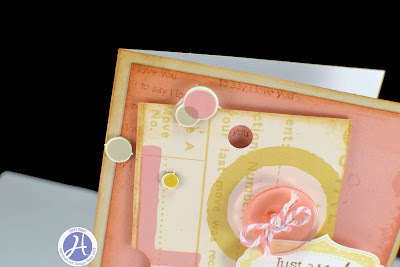 Color image with Distress markers. Cut out and round corners. Mount on black cardstock, round corners. 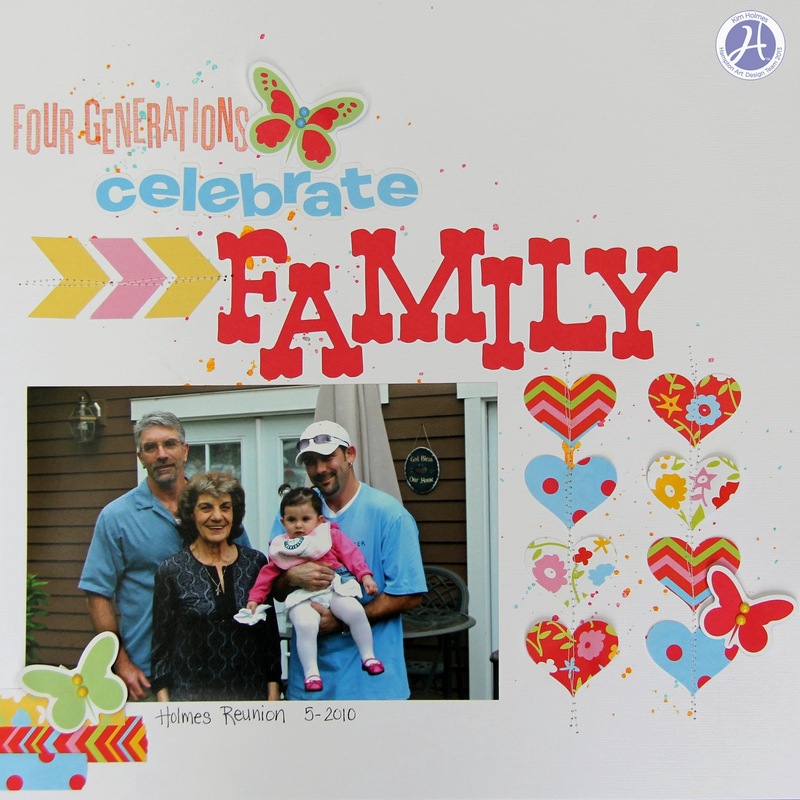 Adhere image panel to cardbase with foam tape. Hi Everyone. 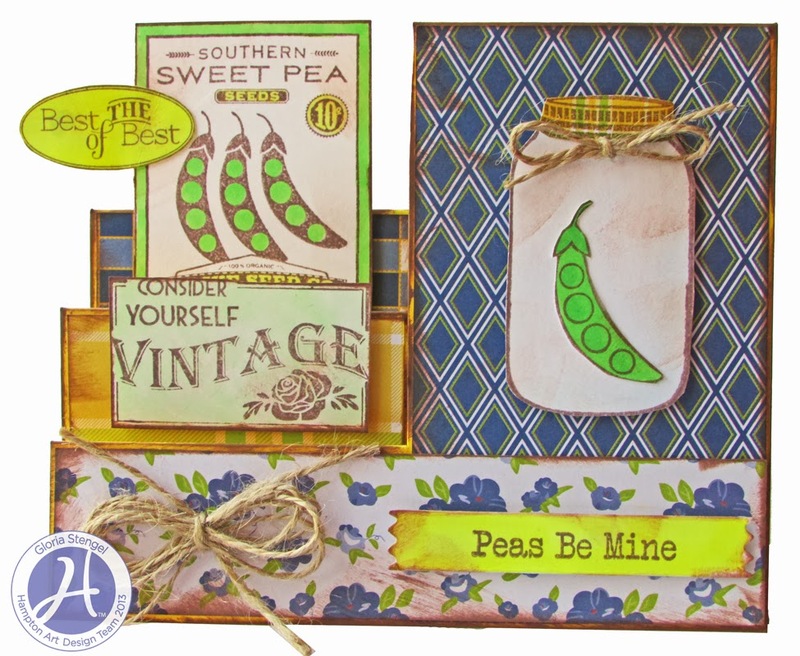 I am just sharing this super simple card today, featuring the Jillibean Soup | Chilled Cucumber Soup (JB0041) speech bubble stamp. Designer notes: Use color blocking on your card with patterned papers to highlight your stamped sentiments. 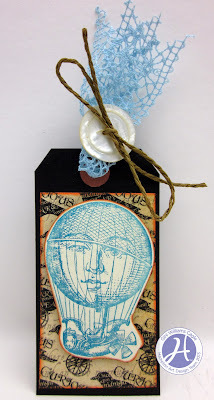 other: cardstock, glassine bag, rhinestones, foam tape, twine. 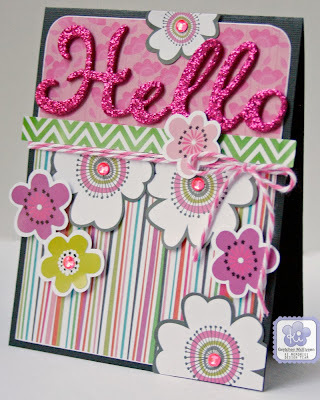 Hi, it’s Gini – and I have a fun pocket card to share with you. It’s a neat little pocket, that has a removable tag. 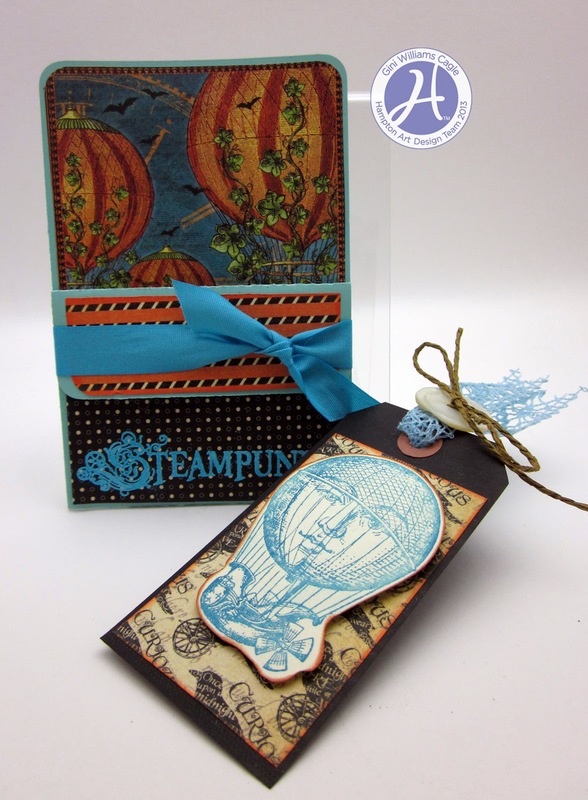 I used the new Graphic 45 Steampunk Spells paper and stamp set. I think this would great for gift cards – tucked behind the tag, that you would not want to fall out of a traditional card. 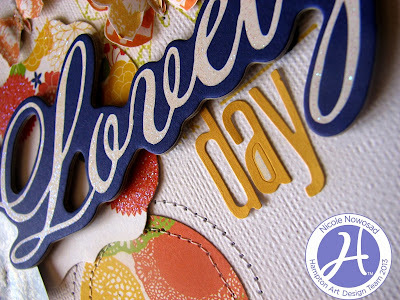 Hi, it’s Gini – and I have an elegant card to share with you that is great for anytime of the year. I used beautiful Authentique papers and stamps to create this card, and finished it off with a handmade flower and metallic velvet ribbon. Hi there! Gretchen here with a card to share with you. I went really green with this one! Everything on this card is KI Memories. 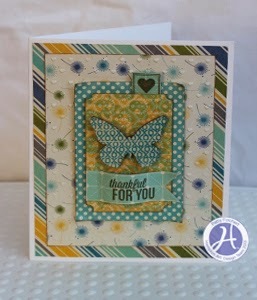 I used a 6x6 paper pad as the background patterned paper for this card. 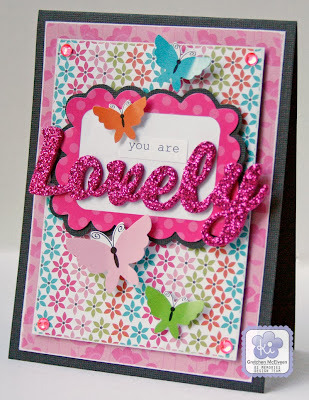 I used one of the Sticker Flip Packs full of fun stickers and bling as the sentiment for the card and to embellish it. 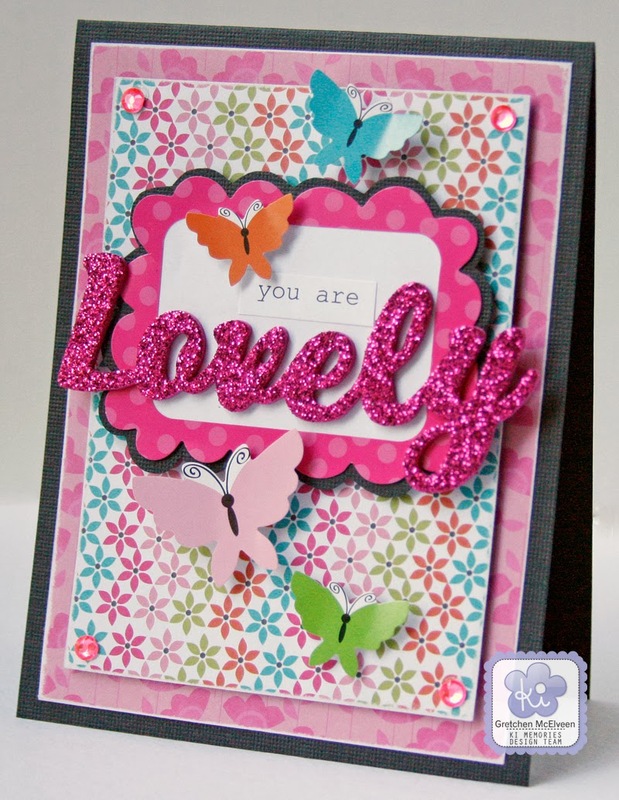 I used lots of foam adhesive to adhere the stickers to give the card some extra dimension. Thanks for looking! 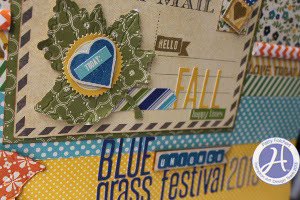 So happy to share my first fall layout of the season with you here today. Autumn is my favorite season of the year, I love everything about it. It begins with the sight of the changing leaves, the crisp cooler air, grabbing that favorite sweater and heading to the pumpkin patch. Ahhh it is such a nice change, so naturally some of those favorites make it onto my layout. 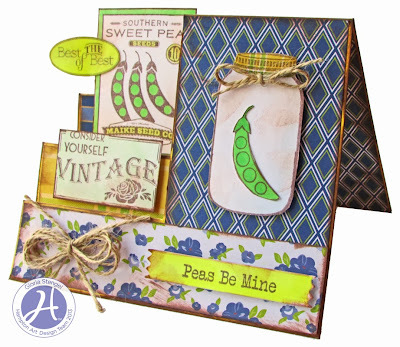 I started out with a bright cheerful base paper, Soup Staple in Yellow Salt. Then I laid out four wallet size photos across the top. Under the row of photos I added three border strips, one in floral, one in diagonal stripes and a polka dot. 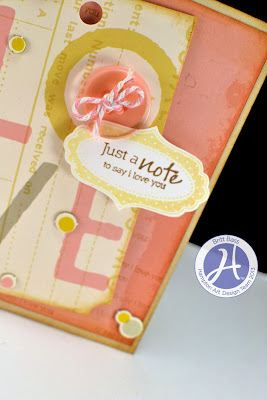 Next using brown ink I stamped across the yellow diagonal “love today” repeated across the page. Those stamps are from the Cold Avocado Soup/XOXO small set. 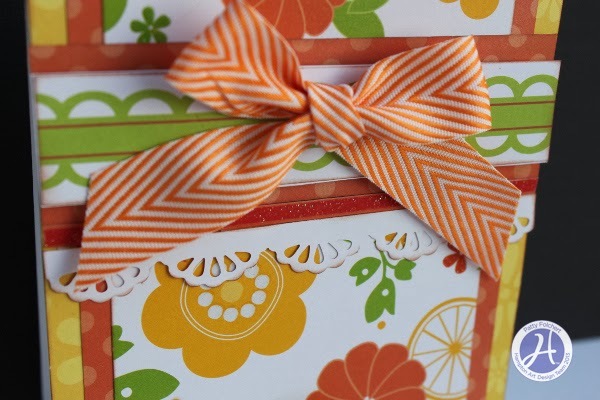 The orange chevron is actually a paper straw flattened and trimmed down and added with glue dots. Then I began assembling the postcard piece in the center, starting with layering the Chopped Green Onions paper under the postcard cutout from the Cold Avocado Bite Size Bits page. 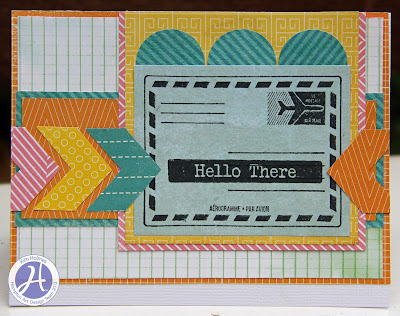 Then using the Cold Avocado/Better Together stamp in brown ink the “hello” and the heart square onto a scrap of Fresh Orange Juice. The leaves were cut from three coordinating papers using my Cuttlebug and embossed as well, then added to the page with 3D foam dots. Then you can add the stickers to embellish the leaf as shown and using Alphabean stickers create your title. Just to add interest I mixed Uppercase and lowercase letters as shown. 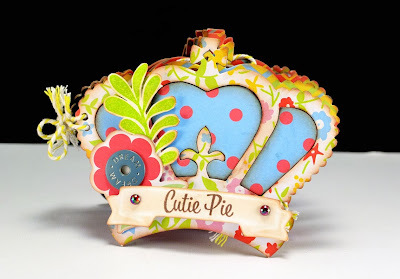 Then I added a stampables wood banner piece for the sub title using letter stickers to finish the title. 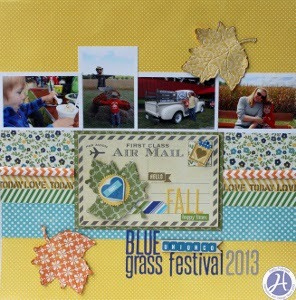 So there it is, a fun fall layout to capture some of your seasonal adventures. 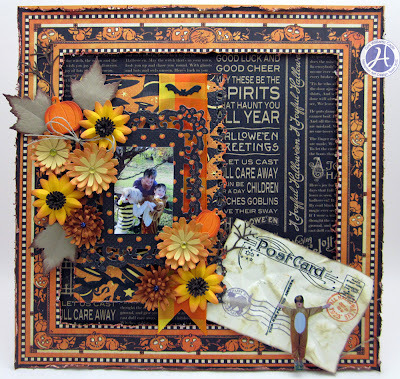 Hi, it’s Gini – thought I would inspire you with a Halloween layout. So remember to get your cameras ready to capture some great shots this year. 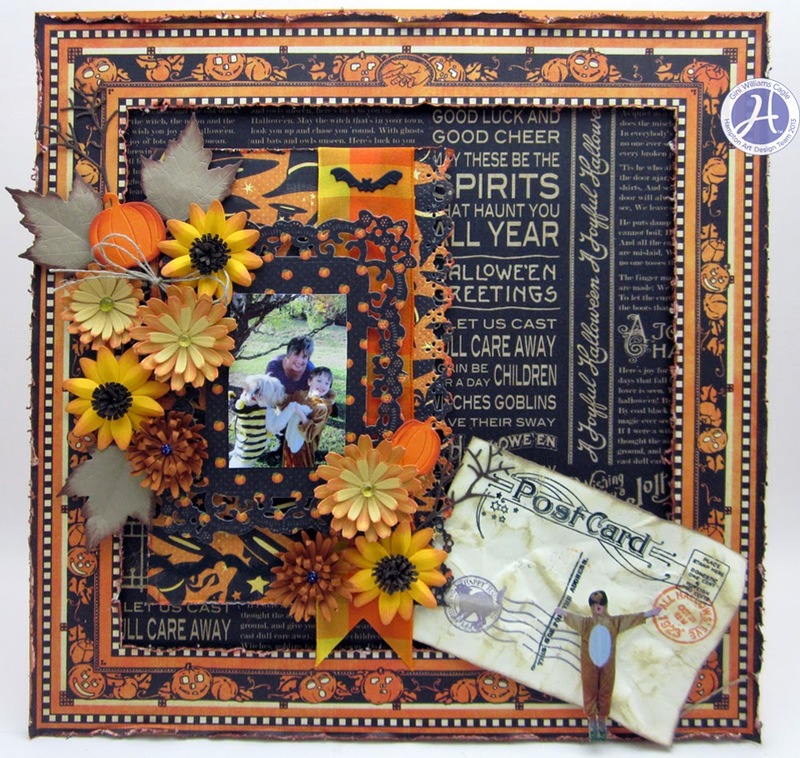 I used the Graphic 45 Happy Hauntings paper and stamps to create this layout and added handmade flowers and fall ribbons to finish everything up. 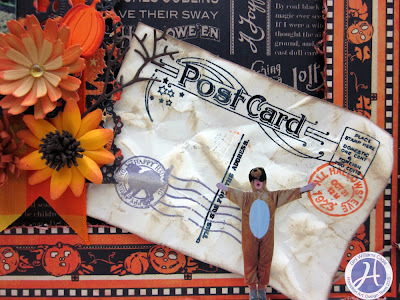 I used the elements of the Happy Hauntings stamp set to create my vintage postcard, and then cut out a picture of my sweet nephew to add to it. Hello lovelies! 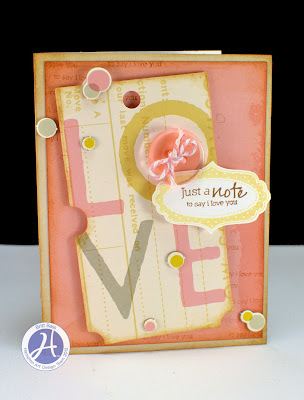 Britt Bass here to share a pretty little love card featuring a new Jillibean licensed stamp set. 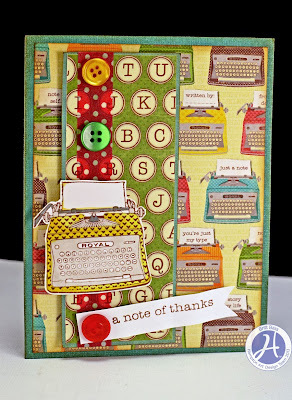 I am in LOVE with this card – and this “Just a Note” stamp set from Jillibean! 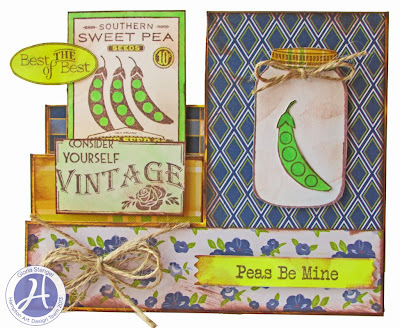 Then, I stamped the little label shape and sentiment in coordinating colors. 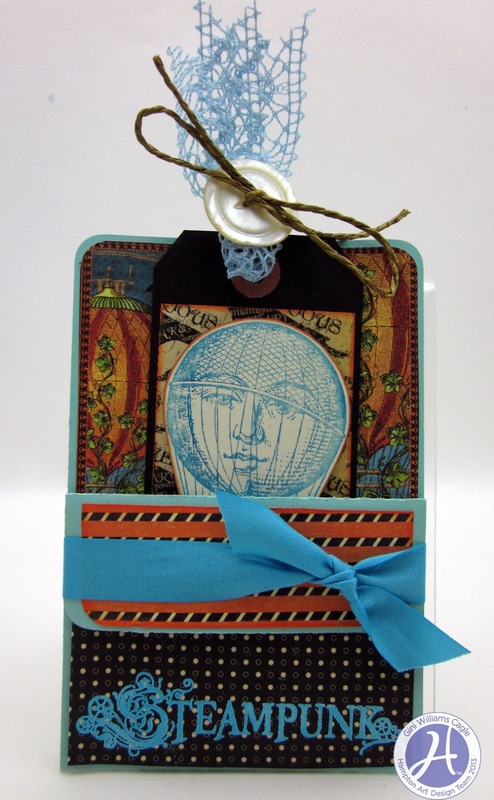 To finish the card, I attached my sentiment label, button with twine through it, and some chipboard bubbles from my paper collection. 1. 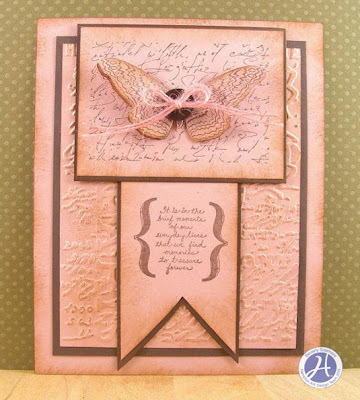 Trim coral cardstock for card base. 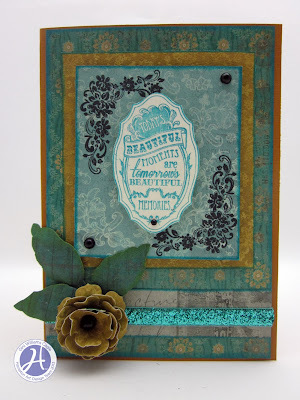 Sponge edges with brown ink pad. mount on brown cardstock. Adhere to bottom center. You can never have enough birthday cards in your stash, so every chance I get I create another one...this one is a universal card that I can use for all ages. Step #1 - Using a pale ink, stamp the star randomly around the background paper. Step #2 - Layer scalloped paper and paper strip onto card base. Step #3 - Stamp the sentiment in black onto orange paper and cut out as banner. 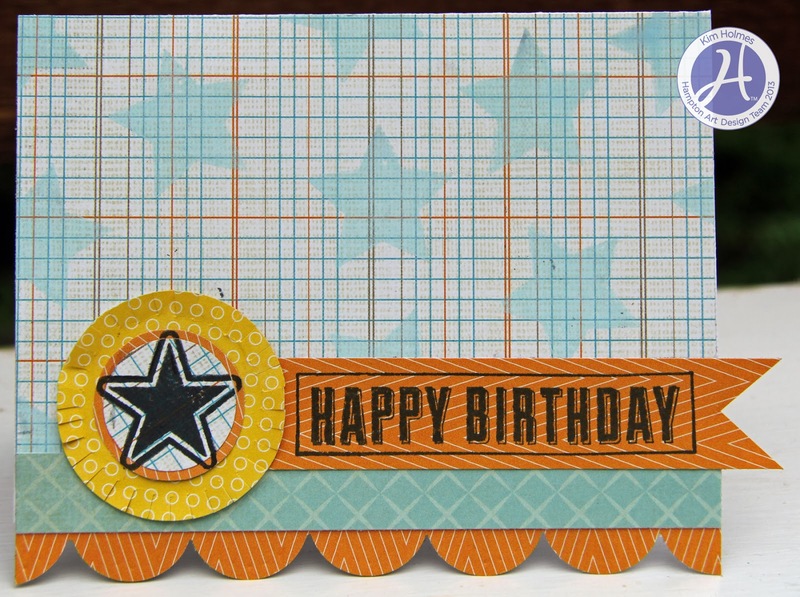 Step #4 - Layer circles and stamp black star on top. Step #5 - Cut slits around edge of circle and lift edges. I have been addicted to this color scheme lately...it just makes me smile! 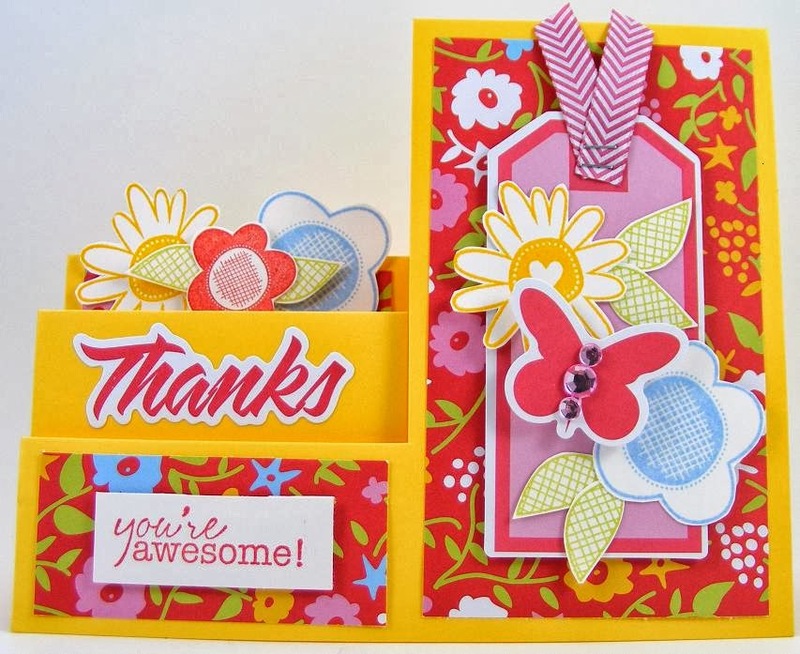 In addition, this card was quick & easy! Today I am sharing a sweet card from the Jinger Adams Sweet Tart collection. This collection has some beautiful glitter papers and I used one of them on this card. 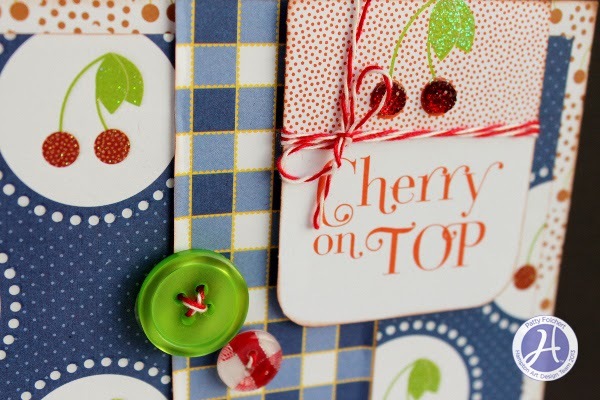 Using the small cherry print on white in the paper pad I created the card base. Then I added the blue and white glitter paper with the cherries on top of that base. Next I reached for the blue gingham paper and made a banner, inked the edges and tied the red bakers twine around and finished with a bow. Then I added the banner piece to the card as shown. 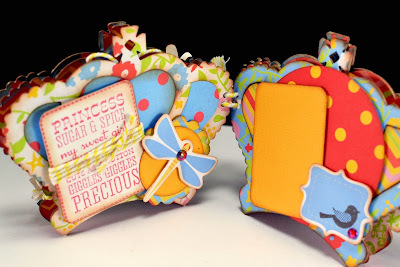 Then I opened the Sweet Tart glitter tags and trimmed down one, for the sentiment and inked the edges and then added it over the banner toward the right side as shown with 3D foam dots. Then I folded over some red gingham ribbon and added it to the bottom right. 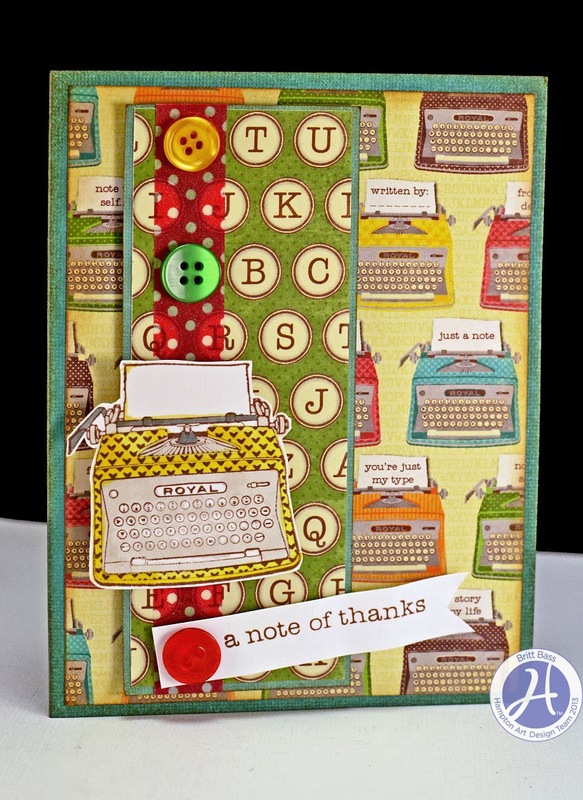 Add the vintage button with red heart goosebump on top of the ribbon. The thread two coordinating buttons with bakers twine and attach as shown. 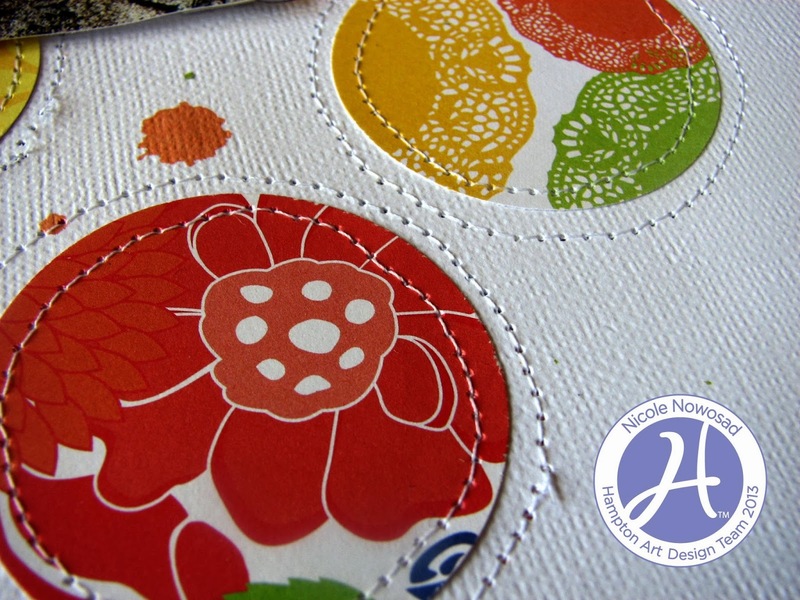 Final touch is the mini red goosebumps over the cherries on the tag. 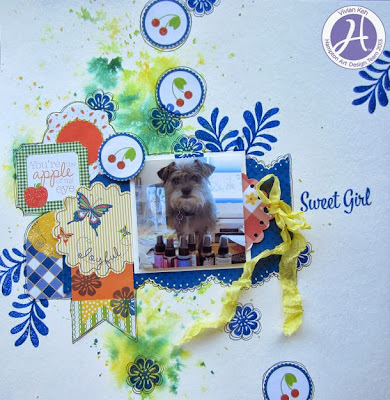 Hope you enjoyed this sweet treat break, we will be having a blog hop featuring several more cards from the Jinger Adams collection soon so stay tuned! Beginning with a white card base I started with the first layer of mat paper, the diagonal stripe. 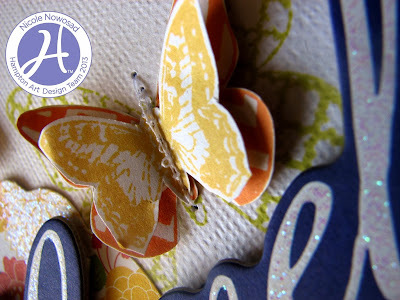 Then I embossed the dandelion paper with a small heart embossing folder and my Cuttlebug, after I inked the edges I adhered it on top of the other mat centered. Then I used the blue polka dot paper to make another smaller mat, inked the edges, curled up the corners and attached with 3D foam dots. 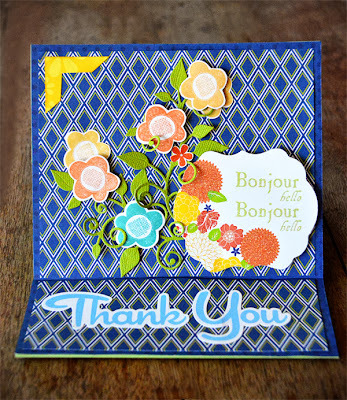 The next mat was the yellow floral print which I stamped a floral design on first with light blue ink using the Cold Avocado Large clear stamp set. Using a hole punch I punched the corners to resemble a ticket stub and then attached it to blue polka dot mat with 3D foam dots. 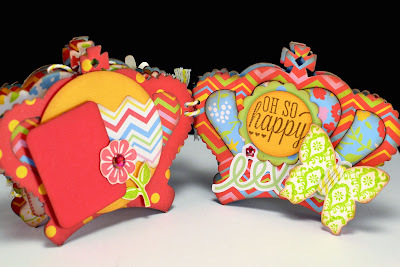 The small square heart tab was stamped using the Cold Avocado bite size bits paper, brown ink and the heart stamp from the Cold Avocado/Better Together small set and attached with a 3D foam dot. 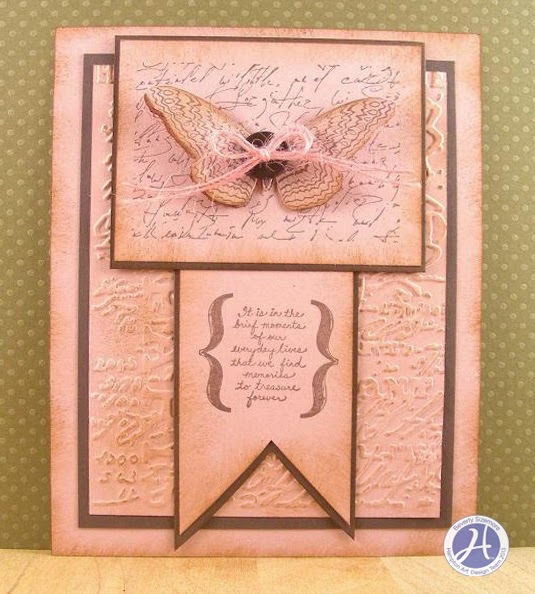 The sentiment pennant was done the same way on the same paper using brown ink and the sentiment from the same clear stamp set as just mentioned, then cut out in the shape of the triangle tip end and curled up and set in place with glue dots. 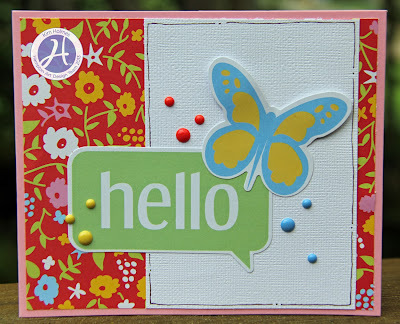 The final layer is the wood butterfly and it was also stamped with turquoise ink using the “xoxo” stamp from the Cold Avocado/Large set and attached to yellow panel using glue dots. Here is a close up. That was all it took to layer up some delicious Cold Avocado Soup into a heartfelt greeting with an extra serving of texture. Hi! 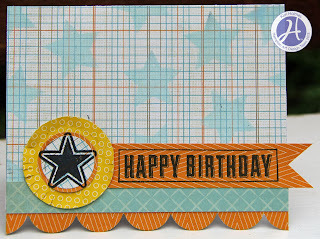 Gretchen here to share a card I made using a bunch of fun KI Memories paper, bling, stickers, and bakery twine (did you know KI has bakery twine??!!). 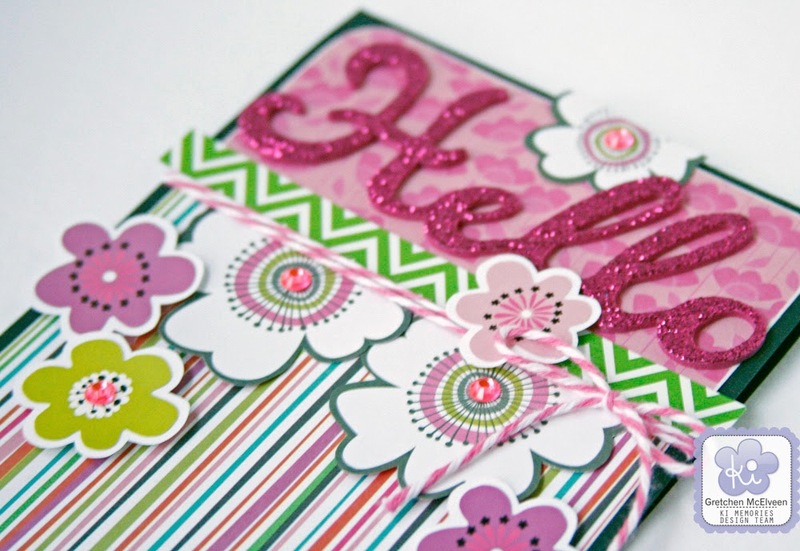 I made this greeting card pretty girly with lots of pink, flowers, and sparkles! 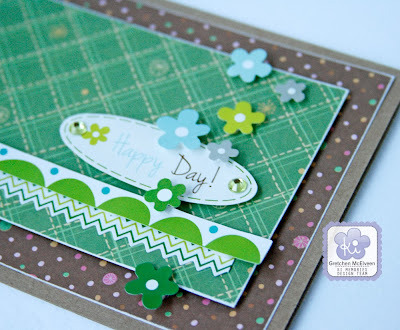 I cut the white flowers out of a sheet of paper from the Color Crush 6x6 paper pad. 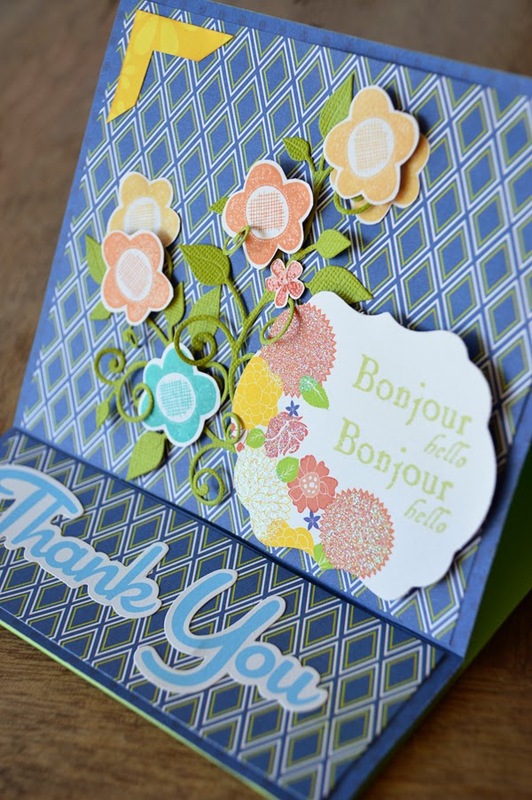 I adhered the smaller flower stickers with foam adhesive to add some dimension to the card. Thanks for looking! 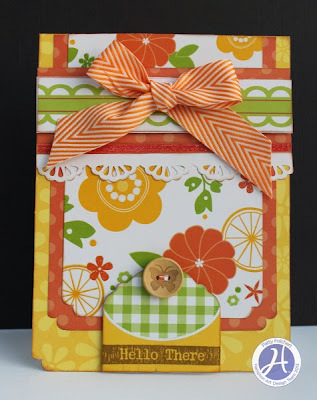 It's Gretchen again with another fun card using bright, bubbly products from KI Memories. 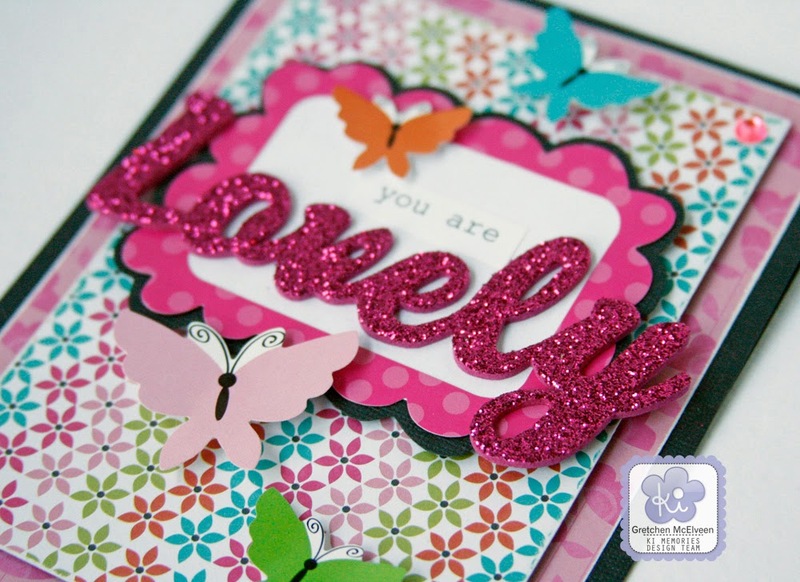 I love these bold foam glitter stickers! I adhered the scalloped journaling spot to a piece of black cardstock first and then cut it out before adding it to the card. 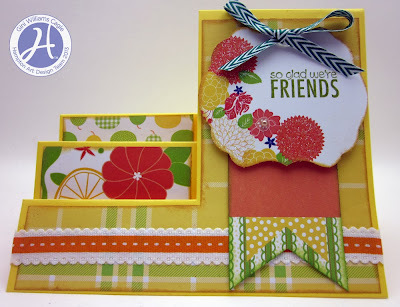 I thought the black border around the sticker helped it to stand out against the background paper. 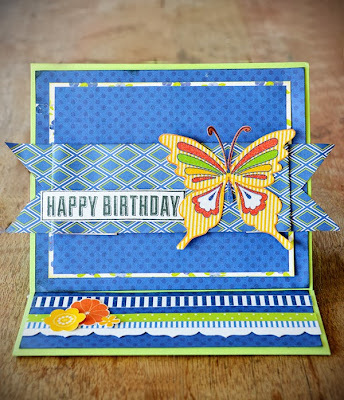 I adhered all the cute butterflies with foam adhesive to give the card some cool dimenstion. Thanks again for looking! Hello Hampton Art fans!! 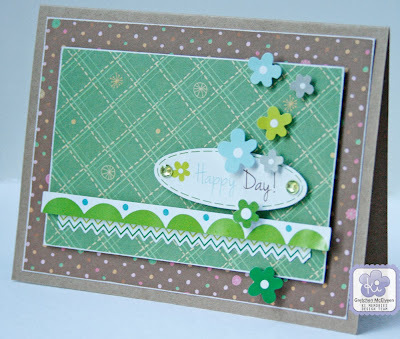 Arrows seem to be all the rage lately and today I have a card featuring stamped arrows and a die cut arrow! 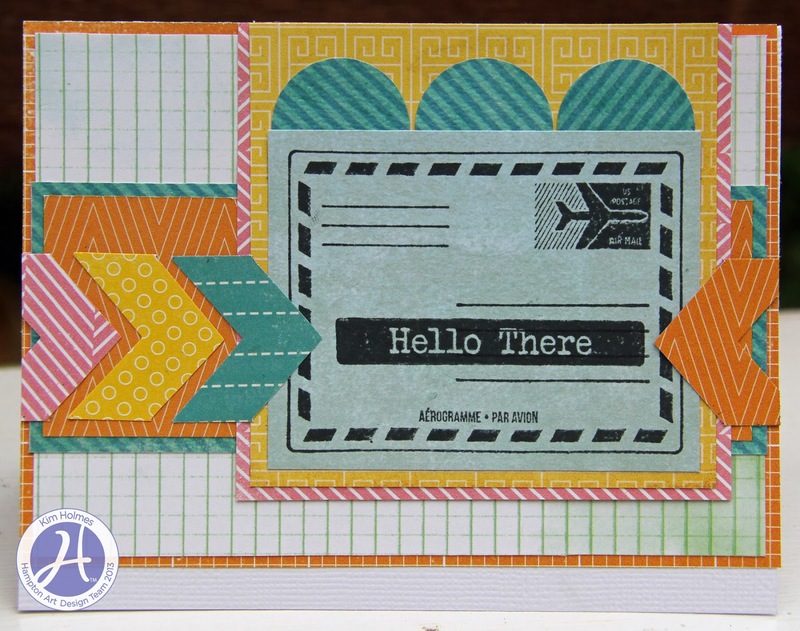 Stamp the 2 different arrows over cardbase. Remove Don’t Forget post it note mask. 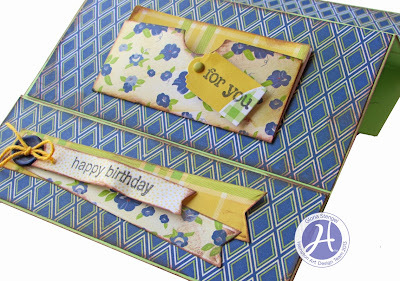 Adhere yellow arrow and wood button to blue circle die cut. Check each box in the Don’t Forget box. 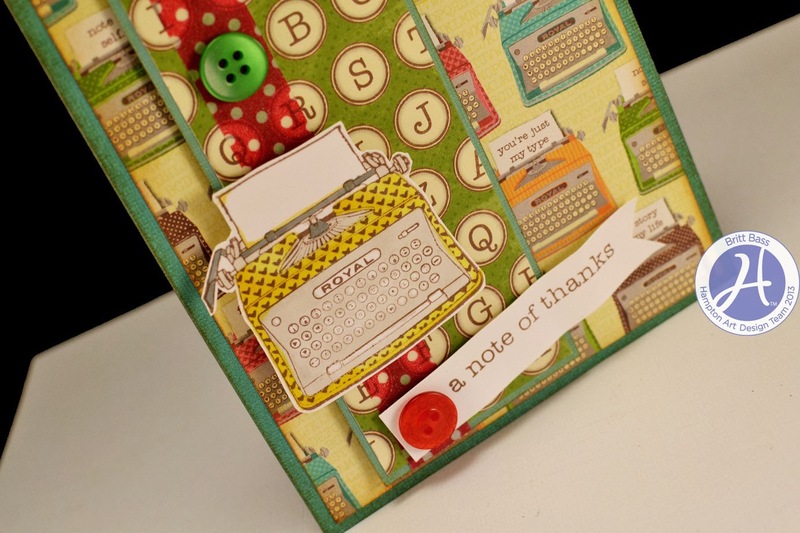 I was so excited when I saw this little typewriter and sentiment set in the Jillibean catalog! I ran over and pulled out my stash of Sweet and Sour Soup papers and got to work! First, I trimmed a piece of the typewriter paper to create my background, and a piece of the typeface paper and a mat to create a panel. 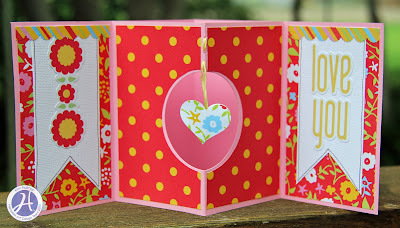 I attached a piece of washi tape to the panel and adhered it to the card. I stamped and colored my typewriter image and sentiment and attached them with foam adhesive. Buttons finished the design nicely. 1. Trim green cardstock and mount on black cardstock for card base. portion of base. 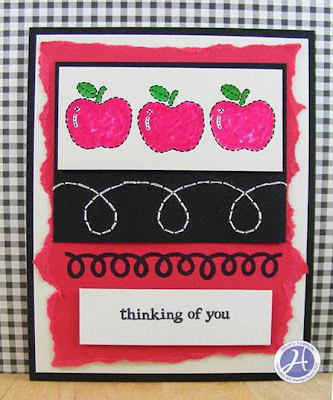 Stamp sentiment with black ink on white cardstock. 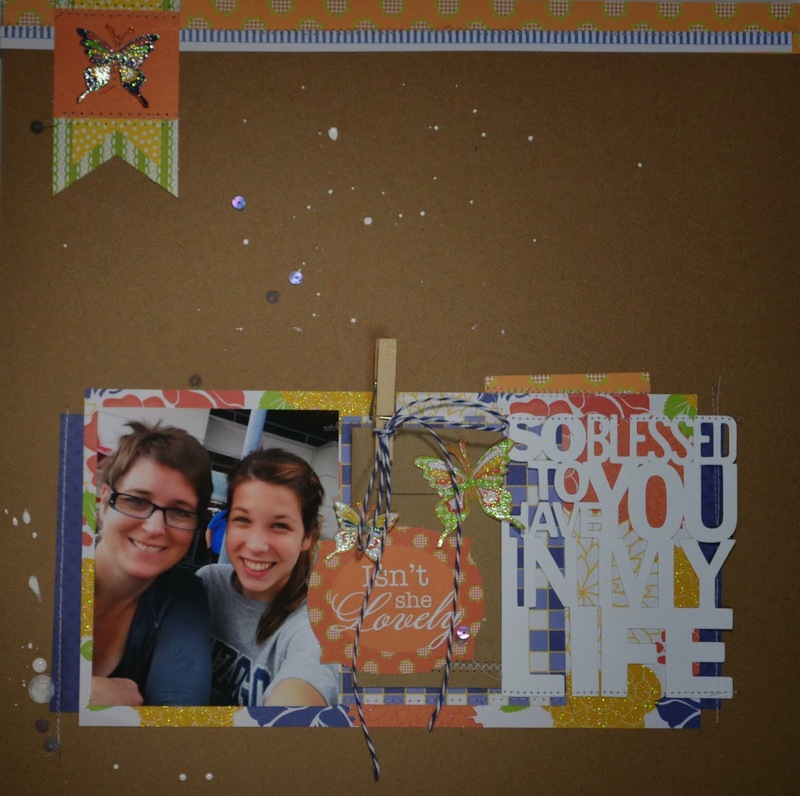 Trim and mount on black cardstock. Adhere to top left. 3. 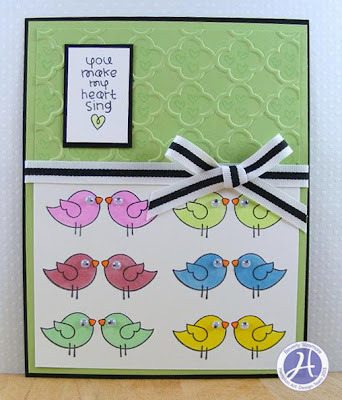 Stamp bird image six times with black ink on trimmed white cardstock. Color birds with markers. Adhere to bottom portion of base. 4. 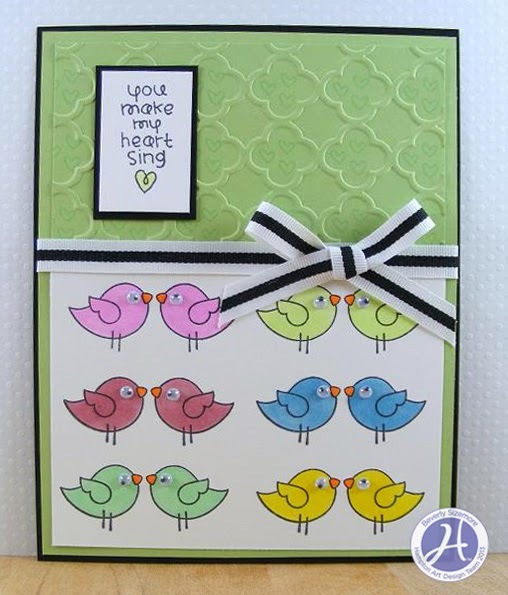 Secure ribbon between embossed cardstock and stamped birds. Adhere bow to right side above bird images. 5. Glue googley eyes to stamped birds with Clearsnap Glue Gloss. 1. Trim white cardstock and stamp three mustaches with black ink as shown. 2. Stamp sentiment with black ink in lower right corner. Stamp arrow on left side of sentiment. of each. 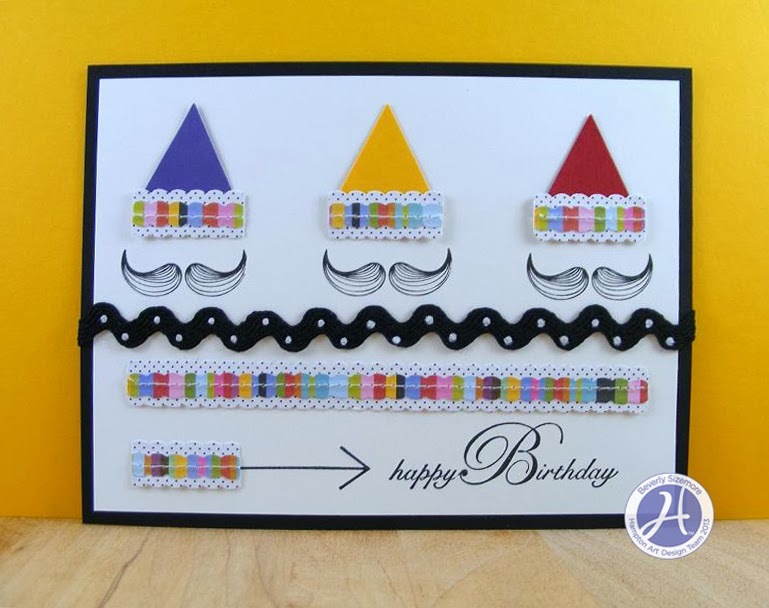 Adhere above stamped mustaches. 4. Secure ric rac below stamped mustache images. 5. Adhere border stickers below ric rac as shown. 1. 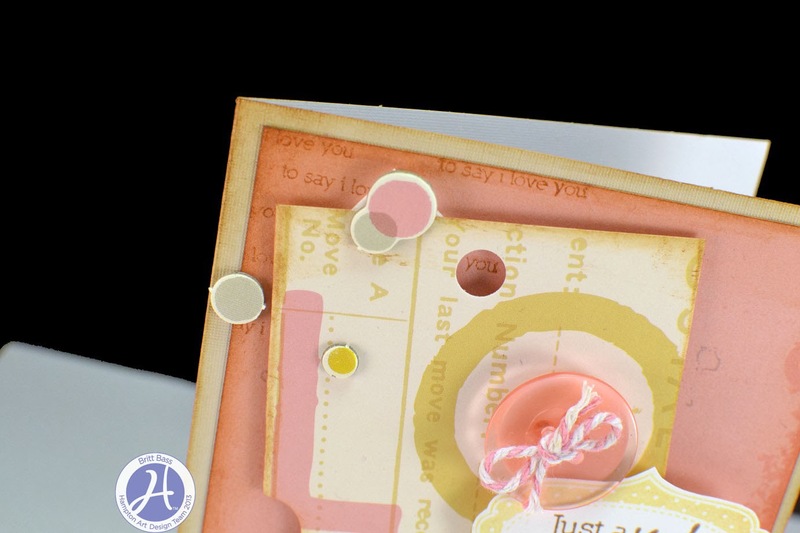 Trim white cardstock and mount on black cardstock for card base. Trim red cardstock and tear all edges. Adhere to base. 2. 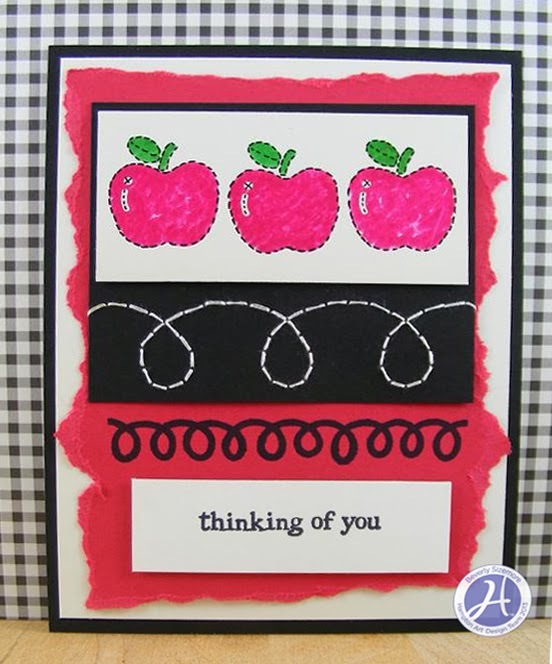 Use brush markers on apple image and stamp on white cardstock. to top portion of base. 3. Stamp border with black ink below stitched border. 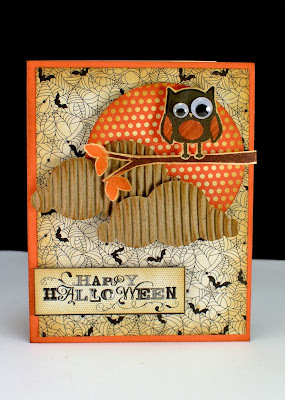 Jinger Adams giveaway winners and a Happy OWLoween card! 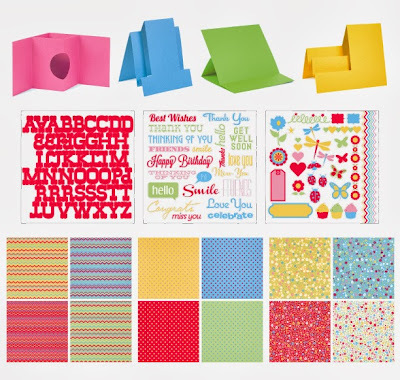 First, let's announce the 2 winners for the Jinger Adams products. I love all the bright, vibrant colors. the different designs of the card bases was an interesting twist. Great collection. thanks for all the ideas for my future greeting cards. Ladies, please email me at kimbermcgray@gmail.com and I will get your prizes out to you! 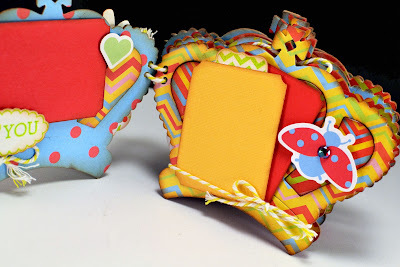 Now, on to a great Halloween project to share with you today! Hi there! 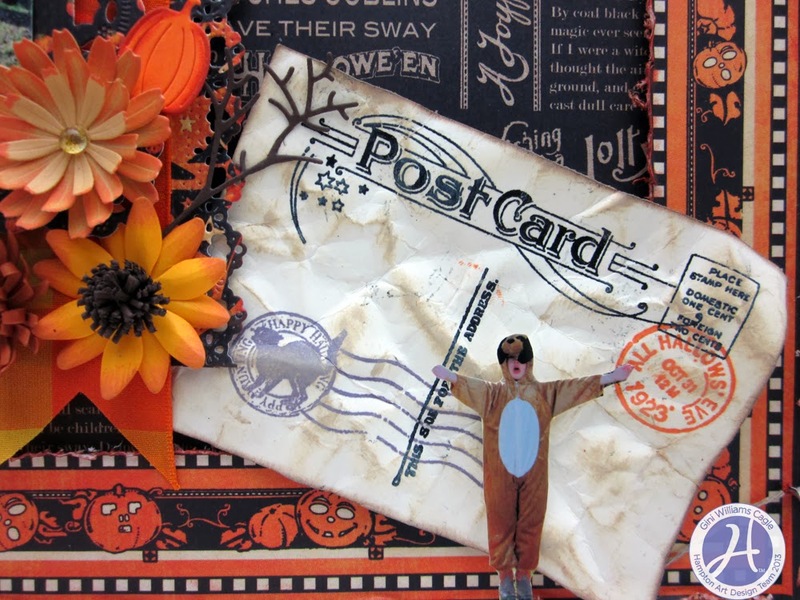 Britt Bass here to share a cute Halloween card featuring an Echo Park licensed stamp set and Jillibean Corrugated clouds. 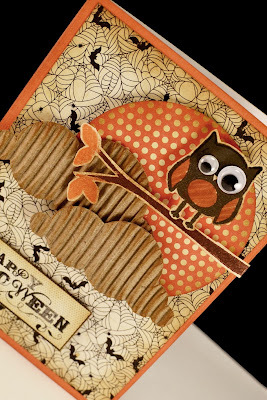 I really wanted to make a Halloween card for this month, but I also really wanted to use a more current stamp set, so I looked through my newest sets and when I saw this owl and branch in an Echo Park baby boy set – I just knew it would be perfect for my little Halloween card idea! 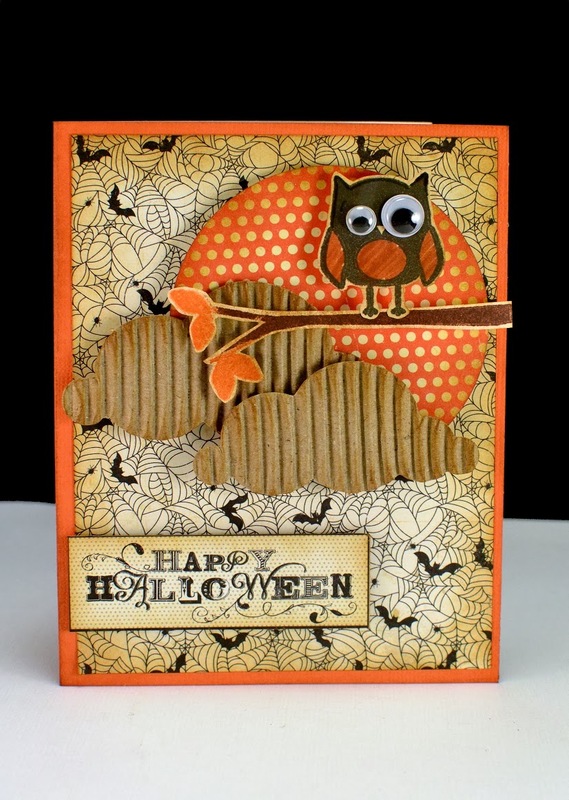 I stamped the owl and branch in colors that coordinated with my Halloween paper and attached some google eyes to give him a little SPOOKY flavor. I layered the stamped images with a punched circle and corrugated clouds. Everything on the card got a little ink around the edges to add definition. I you find yourself without theme-appropriate stamps, use your paper and ink to set the theme, that way you can use the stamps you have and still achieve that look you want! Jinger Adams Blog Feature with the Hampton Art Team + a giveaway! Today the Hampton Art design team has a showcase of projects featuring Jinger Adams products. 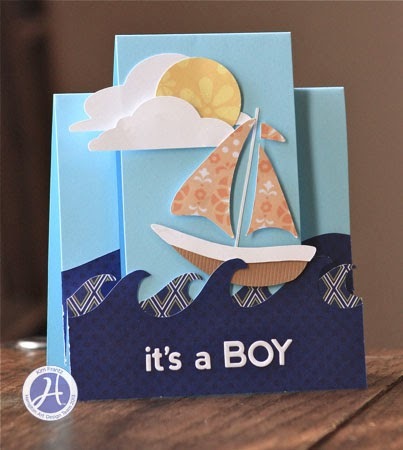 If you didn't know, Jinger Adams partnered with Hampton Art to manufacturer her paper lines as well as her Craft Armoire. 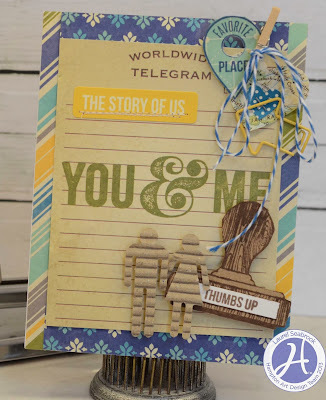 Sit back, and enjoy the fabulous projects our team created using Jinger Adams paper products. WOW! What Amazing projects! The Hampton Art design team out did themselves! 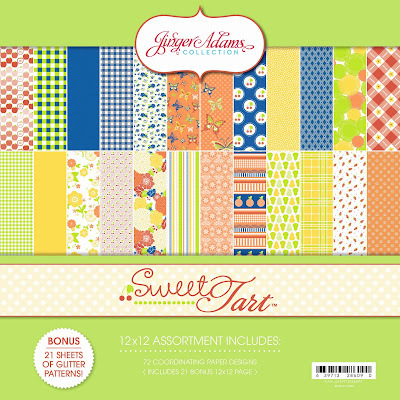 and the Sweet Tart collection pack. You can win one of these this weekend by simply leaving a comment below. I will pick two winners on Monday and ship these out next week!